Foresight Sports is introducing a brand new launch monitor which they say delivers both ball and club data with unprecedented accuracy, thanks to its ground-breaking use of four ultra-high-speed cameras in a single compact device. 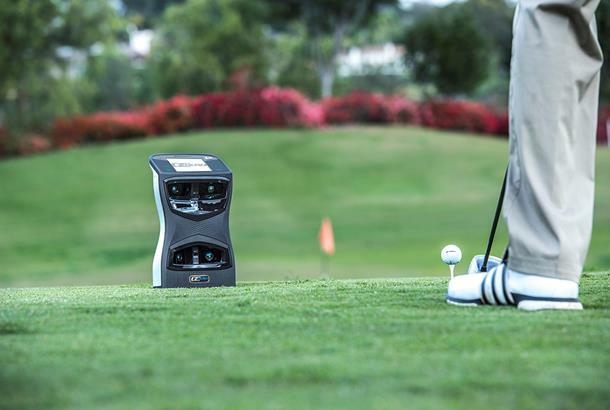 Foresight say that the new GCQuad is the world's first quadrascopic launch monitor and incorporates a number of state-of-the-art innovations designed for everyday use by club fitters, instructors, players and world renowned coaches to deliver a full spectrum of real-time ball and club data. Looking for a new driver? 6. Larger viewable display screen for both indoor and outdoor use and greater connectivity, including Wifi and USB connections. "The new GCQuad device has been designed from the ground up to take what we accomplished with the GC2+HMT to the next level," said Foresight Sports Director Edward Doling. "We listened to the feedback from Tour players, top coaches and our customer base to produce a launch monitor that is at the pinnacle of innovation, design and engineering. "Once again, Foresight Sports has pushed the boundaries of technology to create the most accurate, reliable and versatile launch monitor on the market. From use on the course or the outdoor range, to swing rooms or indoor golf simulators, the GCQuad is another game changer for golfers everywhere," he added. The four high-resolution cameras contained in the CGQuad are matched with four high-speed optical sensors to deliver exceptional quadrasopic images. The optics are mounted on a shock-resistant aluminium frame for even greater precision and reliability, with all components then housed in a sturdy outer shell for long-term durability in all weather conditions. Precise ball and club measurement data can be viewed in three ways - instantly on the device's prominent display screen; via Foresight's Performance Fitting App on iPad or tablet; and through the 4K-ready FSX software. A data can be saved online and details of every shot can be reviewed and analysed at any time. The GCQuad is available from February 2017, with pricing details to follow immediately after the PGA Merchandise show. For existing owners, Foresight Sports is implementing a trade-in and cashback promotion to assist customers in upgrading to the new technology.